An massive update has been released with the latest version of the Free CryENGINE 3 SDK 3.4.0. Most importantly introducing DirectX 11 Tesselation support. Crytek Places More Power at Developers' Fingertips with the Arrival of the next free CryENGINE 3 SDK Update. Further increasing the creative power at developers' fingertips, Crytek today announced the arrival of a feature-filled update to its award-winning game development solution, CryENGINE 3. The CryENGINE 3 SDK now presents users with brand new tools to tap into, including revamped DirectX 11 tessellation, advanced character rendering options, improved AI system and much more. DX11 support and tessellation has come a long way since Crysis 2. Phong, PN triangles and displacement maps, along with no need for pre-tessellated assets, makes CryENGINE's DX11 support among the best in the industry. The multi-layer navigation is a powerful new and easy-to-use navigation system that AI agents utilize to path-find through game maps. New scattering approach gives more realistic rendering with fewer artifacts. New settings, checkboxes and sliders for things like oiliness, iris control, colors, pupil dilatation, tessellation and parallax support make CryENGINE character rendering more advanced and customizable than ever before. The glass shader is a specialized tool for rendering glass-based surfaces. It can represent a wide range of glass types, including regular windows, stained glass, leaded glass, beveled glass, some crystal types and some types of transparent plastics as well. The improved glass shader now also boasts features such as a dirt layer designed to produce extremely realistic-looking glass surfaces complete with dust and dirt, differential fog and refraction blur. Time of day based filmic HDR tone mapping. Curves and key tangents for time of day. User controlled per cascade shadow bias through time of day. Improved transitions between levels of detail. Volumetric fog features extended and improved. Continuous update is not automatically paused/restored when filtering/restoring the visible objects inside sandbox. Pausing the continuous update also when jumping into game in Sandbox. Now correctly set the alpha for glass phys fragments. Added variable stable fragment size to glass, meaning smaller pieces can stick nearer edges. Coloured glass particle effects to match glass material (Off by default). Enabled glass cvars in release builds. Gamma changes now respect window focus in Dx10/11 (As per Dx9 in DeviceLost state). FrameProfileSystem now displays frame time, lost time, and overhead with same averaging method as profile entries. Sandbox, Time of Day: added toolbar for Spline editor, dockable frames. Added "Reverse" to MaterialEffect particle hit direction options. Being able to choose an entity class category from within Lua scripts and external entity class handlers used inside the Editor, instead of always putting them into "Default"
Added callback to handle glass system cvar changes. Tidies up the temp crash fix. Enabled the new glass system by default when in multiplayer. Implements the light animation by (ab)using the light node in the movie system. Adds position/rotation animation support to the light animation system. Makes it possible to scrub a light animation through the regular TrackView interface. Implements the film curve preview in the Time Of Day dialog. New glass shader featuring: Improved lighting consistency. Support for opaque layer, tint color map, alphatest shadows using opaque map, blurred refraction (High end only). Removed support for alphablended non-refractive glass. Tidied up legacy code. Glass Shader: Added diffuse multiplier to vertex alpha. Glass Shader: Added global opacity multiplier. Database Save button now enabled/disabled depending on count of modified libraries. Enhanced particle MaterialEffects, allowing direction type to be specified per-effect, same as other effect modifiers. Compatible with ealier XML that specifies it per group. Removed useless GUID info from ParticleEffects. Perf improvements to glass triangle hashing loop. Saving of ~300 bytes per glass RN by removal of temp vars and class restructuring. Swapped a large continuous glass array for a smaller cyclic one. Up to 40kb PC and 10kb consoles saved. Glass impact decal params are now only calculated once instead of every frame. ITimer and FrameProfile systems now consistently use CryGetTicks(), replacing runtime tests and function pointers. Removed unused members in ProfilerInfo. Added state to SParticleUpdateContext to reduce repeated computations. Integration of multi-particle ParticleEmitter.EmitParticles() change. Sped up emit rate/count computation in SubEmitter.EmitParticles(). Cache EmitCountScale, avoid calling GetExtent() during particle emission. Removed SAnimationDesc struct from code and new AnimGraph files, following C2 behavior. Replaced with runtime functions to compute SAnimationMovement and get SAnimationSelectionProperties*. Sandbox Rollupbar resizing and "look & feel"
Cleaned up gamma ramp calculations, now round results correctly. Added inline tick functions to ITimer: GetTicks(), GetTicksPerSecond(), TicksToSeconds(). Removed silly virtual TicksToMillis/Nanos(). Also added GetNonFiberTicks(), which subtracts FiberYieldTime(), simplifying a lot of code. Removed redundant tick functions and members from FrameProfileSystem. Removed support for deprecated fog mode. Prerequisite for coming volumetric fog enhancements. Separates the HDR parameters and packs together with the film curve preview in the TimeOfDay dialog. Updated AsianCoaxialWeapon to use HMG weapon sounds. Lowered rate of fire for visuals to match audio. Adding new glass decal controls, default values. Fixed issue with unused grenade types (flash, emp, smoke) spamming console. Fixed spacing. Fixed issue with incorrectly pointing helper. Removed vehicleCollisionDestructionSpeed="4" param from MH60. Was blowing up far too easily when nudging other vehicles. Removed commented out CVars. Changed r_HDRRendering default to '3'. Lowered grenade damage (250 -> 150). Lowered min/max radius 5/15 -> 2/10. More realistic behaviour for a frag grenade, less chance of killing yourself. Keeping the joint velocities when "ragdollizing" the actor. Better for the Hit/Death Reactionsystem (death reactions). Sandbox, Time of Day: More sensible default zoom settings, cleanup. Added isPassengerShielded="1" to gunner seat for protection against rockets. Tweaked damage and radius on vehicle explosions. Fixed issue with Abrams explosion not causing reaction (delay set to 0.2). Updating size of glass texture atlas. Removed hardcoded weapon attachment definitions, instead loaded in a data driven way. Made some glass index types more explicit to help avoid errors. Updated glass decal atlas - Slightly increased white-levels on larger break pattern. Removed glass system cvar from multiplayer.cfg as now globally enabled. Disabled the game side stealth-o-meter code in the Target Track Threat Modifier. CL676413 - !B Fixed issue where the visual stimulus would be pushed down because the outThreat wouldn't be set by the threat modifier. Update multiplayer.cfg - Removed several duplicate CVars. Removed graphics related CVars that shouldn't be MP specific and are defined in main CVarGroups (viewdistratios, etc). Removed obsolete CVars. Fix the result value returned by the RayCast in case the ending triangle is not acceptable. Move into Compiler from typo'd directory. Removed double-triangle hash on glass node initialisation. Fixed a case where glass phys frags with id 0 were using garbage geometry. Fixed: Weird living entity behavior on non terrain ground. Fixes the issue of 'r_measureoverdraw' not working in DX11. Finally fixed crash in profile system when changing profile_allthreads from 0 to 1. Fixed inconsistencies in CryGetTicks, QueryPerformanceCounter, and QueryPerformanceFrequency. CryGetTicks is now equivalent to QPC on all platforms, fixing some profiling results. Win32/64 use Windows QPC rather than RDTSC, as it's guaranteed thread-safe, and has acceptable performance on Profile builds. Sandbox: "Time of Day: When first opening the Time of Day, the timeline scrubber does not render/refresh"
Fixed: Expended ammo was never reset correctly when dropping/picking up the weapon. Various fixes for pointer checks, missing initialisation, incorrect asserts, unhelpful log messages, bad indentation. Fixed: Puppet range container was never reset. Was constantly growing inside Sandbox. Alpha value now used for refractive particles on blending as well as bump scaling, for proper results with overlapping particles. Fixed FPE in ParticleContainer.ComputeUpdateContext when TurbulenceSize was small. Fixed: Typing in new helper directions didn't update correctly the actual helper rotation in the Vehicle Editor. Only worked when rotating it in the viewport. Fix AnimGraph file compatibility with new cvar which indicates AnimDesc objects in ver 63 files. 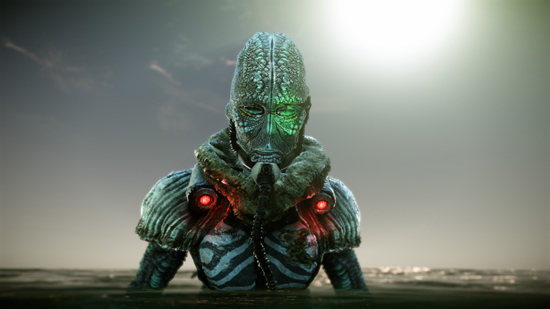 Re-enabled USE_SELECTION_PROPERTIES define, as AnimationSelectionProperties required for pre-Crysis2 AnimGraph code. Glass depth fog correctly uses refracted depth. SetMaxWaterDepth and SetMinWaterDepth use the wrong depth value in cm. They multiply the value in meter twice. Fixed invalid index buffer sizing on glass fragments. Removed redundant draw attempt on glass fragments. Removed double offset in DX11 DevBuffer updates. Sprites popping in and out. Sprite/model lighting differences - write more upward normal for sprites to receive more ambient light. Default to least detailed LOD for sprite generation - Grass sprite fix with new sprite system. Fixing the debug draw of the path with the MNMPathStart and MNMPathEnd tag point. It now correctly checks if the path was found to add the start and end position to the path point. Fixed inverted zoom adjustment for particle Max Distances. MD: Fixed compile issue for MotionBuider plug-ins. Fixed documentation of console variable "ai_DebugDrawNavigation"
Fixed typo in rope node that was using position as U texture coordinate. Particle Effect Enable/Disable menu commands now modify library. The same thing was said for HL1 back in 1999. We can only guess what games will look like in another 10 years. This engine just keeps on getting better and better! **** Dx11 support!!! I so regret having stopped working with Cryengine. Absolutely stunning changelog but remember this isn't like the source SDK or something. All those props and animations and models in there, Crytek made themselves. So would any indie people that use the SDK. A lot of people don't really understand the point of the SDK currently since you're forced to make your own games from total scratch, and yet, can't release them paid-for. Its all a free license. So you're forced to pay out of pocket for models, animations, scripts and properties for your own indie game basically, but all you can essentially do is release it as a free mod. In any case thats food for thought. This is still a ridiculously cool changelog, but not many people have the resources to make their own stuff needed to actually enjoy it, unless you like toying around in the 5x5 test map they have. Wasn't Nexiuz an indie game though? I need to finish my current projects and move on to this stuff! Crytek keeps amazing us, with each new update here placed by Duruk!! maybe problems with the HD 6870? I just wonder what is in store next, of course the fixes, but along the lines of major features.